These cuffs look spectacular simply tied around the wrist. 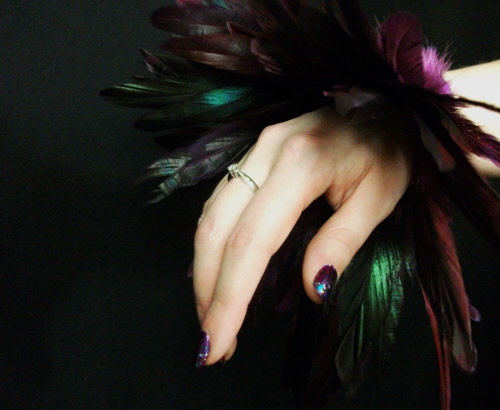 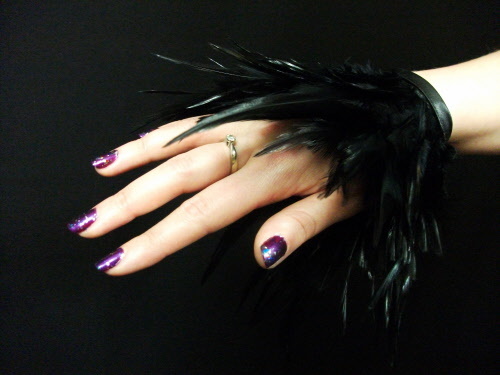 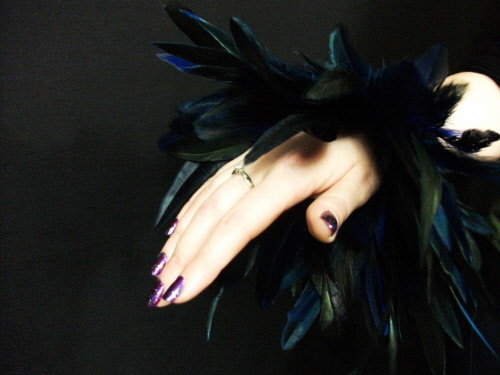 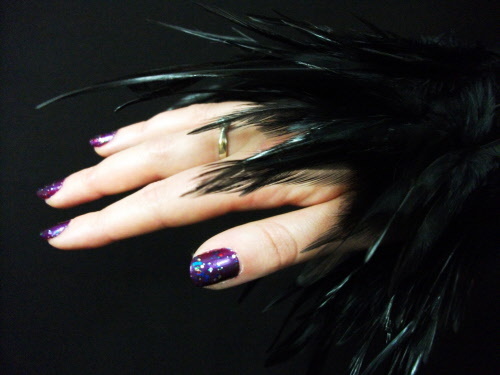 Lovely soft natural feather cuffs in purple with natural black coque feathers. 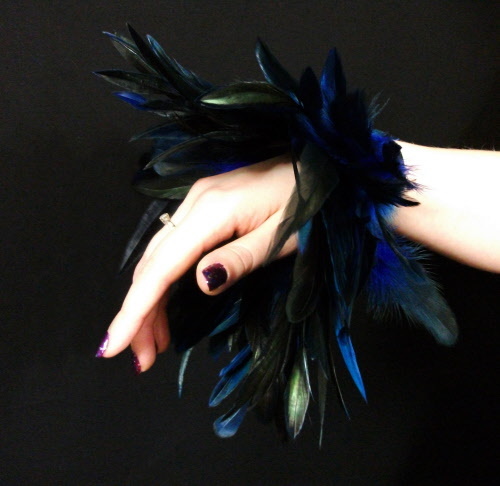 Simply ties around the wrist using the black duchesse satin bias. 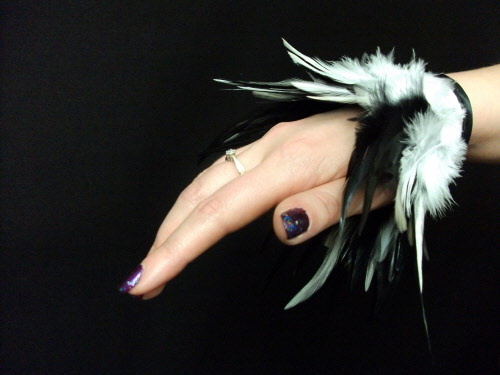 Lovely soft natural feather cuffs in white with natural black coque feathers. 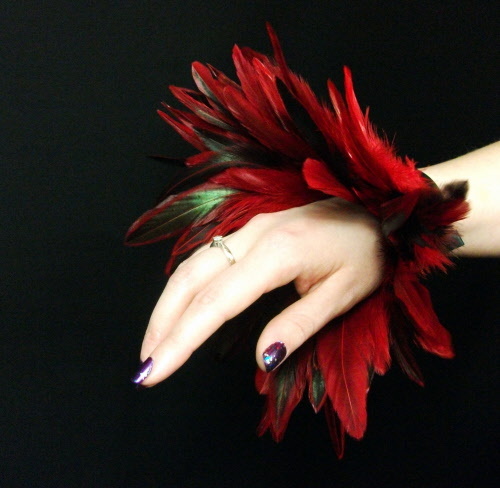 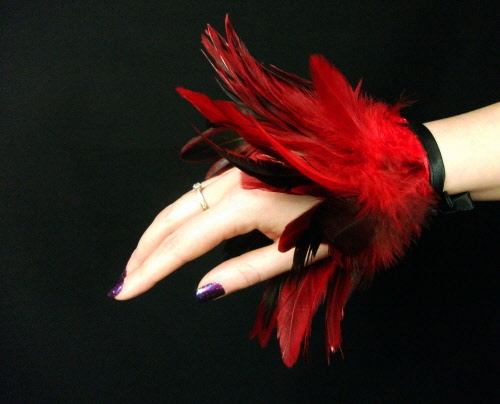 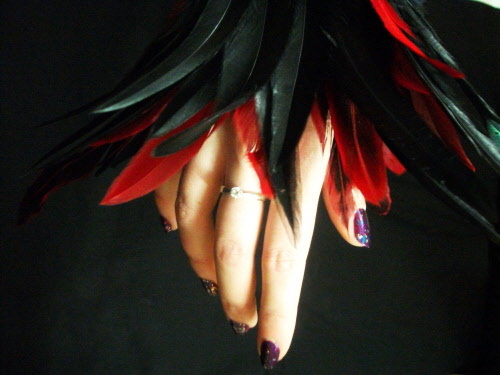 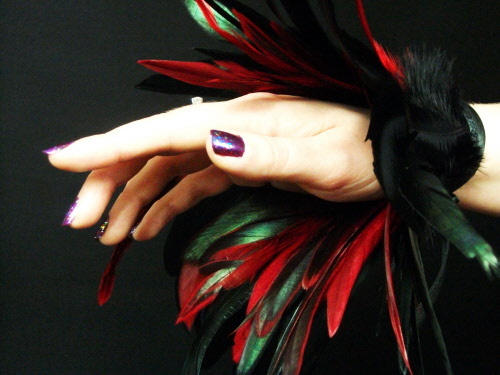 Lovely soft natural feather cuffs in bright red with natural black coque feathers. 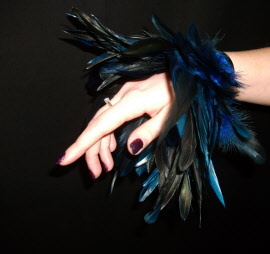 Lovely soft natural feather cuffs in bright blue with natural black coque feathers. 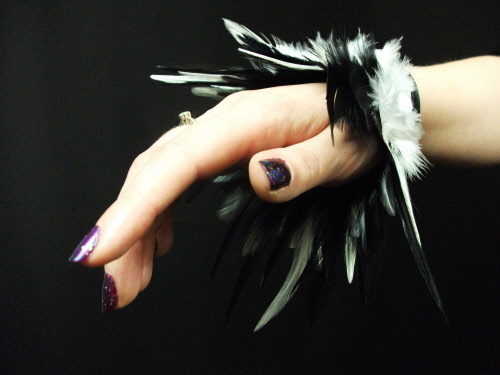 Lovely soft natural feather cuffs in natural black. 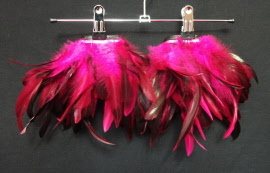 Lovely soft natural feather cuffs in hot pink feathers. 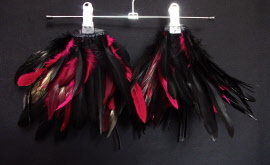 Lovely soft natural feather cuffs in hot pink with natural black coque feathers. 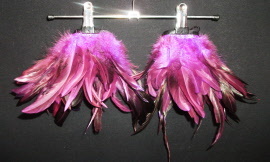 Lovely soft natural feather cuffs of purple feathers. 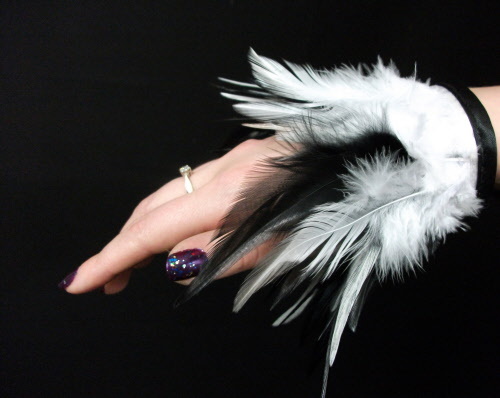 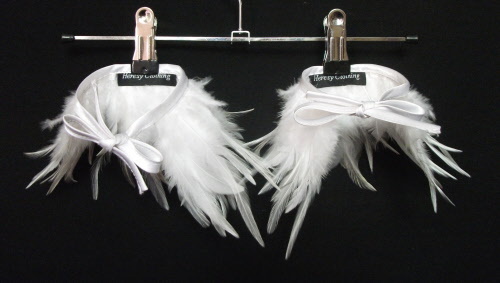 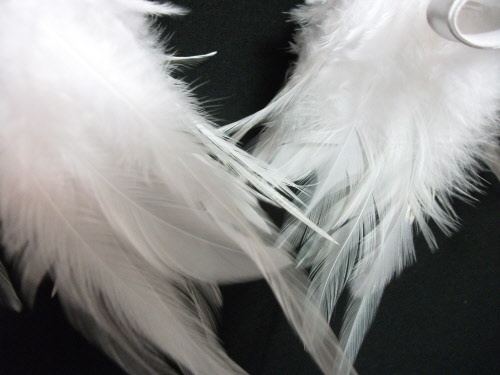 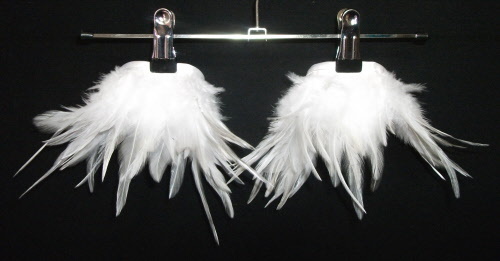 Lovely soft natural feather cuffs of white feathers.